70s themed bouncy castle hire. 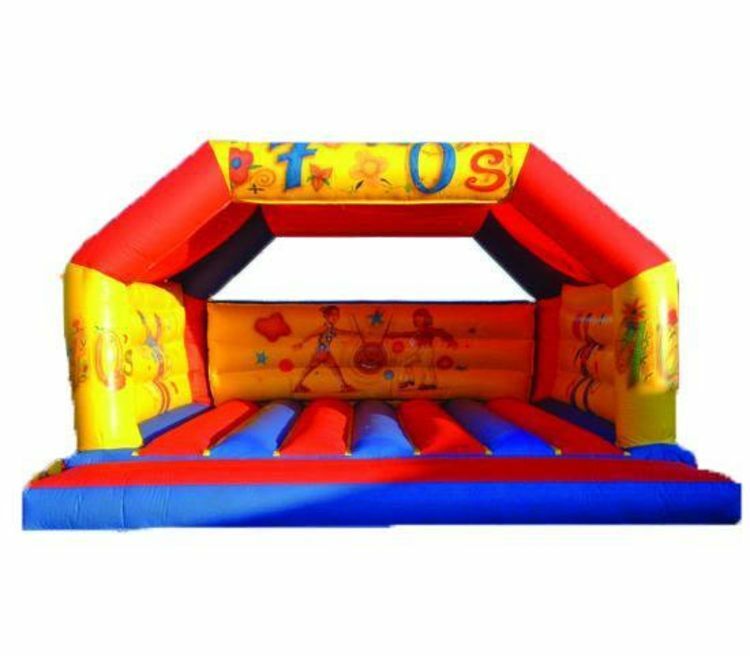 Here is our 18ft x 18ft 70's Castle, this bouncy castle is fantastic for parties and big occasions;indoor and outdoor!, with great artwork and fantastic fun for all ages from toddlers through to adult. It is one of our most popular adult castles.This themed bouncy castle has a raincover so whatever the weather you can still have fun on our 70's castle.The required space you will need is 20ft x 20ft,the height of this bouncy castle is 15ft.If the bouncy castle is going indoors,please ensure the celing height of the venue where the bouncy castles going is higher than the bouncy castle.We deliver our themed bouncy castles, inflatable slides,rodeo bull hire,plus are assault courses and adult bouncy castles and domes,to Merseyside & Liverpool, Widnes, Runcorn, Wirral,Warrington, and St Helens, and some of these areas and further areas will be a additional fuel charge or toll/tunnel charge.Check our delivery checker on our home page,it will tell you if there is a charge for your area.